We all know that a significant amount of lint is generated as we dry our clothes. We all know to clean the lint trap on a regular basis. 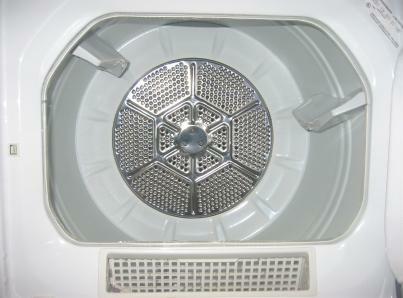 Depending on the type of fabric being dried, the lint trap generally needs to be cleaned after each load of clothes. Regularly cleaning the lint trap will improve air flow in the dryer, and allow it operate more efficiently, saving time to dry your clothes and saving you money on your electric bill. Do you know that the lint trap does not catch all the lint? Most lint can make it all the way through the dryer air vent, which is released outside of your home. Some of the lint gets stuck in the duct work. Flexible dryer hoses, with bends and ridges are especially vulnerable to lint accumulation. The further the lint has to travel through the duct work, the greater chance that lint will accumulate, which poses fire hazards in your home. Many house fires are caused by dryer vents which have become obstructed. Lint is highly flammable. When heat builds up due to an obstruction, the material becomes very hot. Fires are easily prevented with periodic dryer vent cleaning. Call (502) 935-2205 today for a fast, free quote, and get your dryer functioning safely and efficiently. We'll schedule an appointment that works around your busy schedule.